These world class Polyester Printing Ink are widely used for packing of shampoos, spices, oil, tea, biscuits and many more. We are widely applauded for the fabulous designs and attractive colors of our Polyester Inks. We are leading manufacturer and supplier of Polyester NC PU Based Inks. Polymer Coatings And Inks Pvt. Ltd.
Multi Gloss Flexographic/Rotogravure Solvent Based Poly Printing Inks for treated Polyethylene, Polypropylene PVC and wide range of Olefinic substrates. CHEMIFLEX inks are designed for surface printing on Flexo graphic machine with anilox rollers. 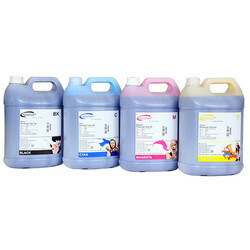 We are recognized in the industry for manufacturing, wholesaling and supplying a comprehensive assortment of Poly Inks. Our offered ink is processed by using premium quality ink and other substrates in order to maintain its adherence to quality norms. This ink is used for treated polyethene PVC and olefin substrates. Gravure Metalized Polyester Lamination Inks. good light fatness, at varying press speeds. Poly ink finds similarity in the features with multi gloss ink but possesses an added advantage of soap, alkali and acid resistance. On addition of in the exact amount of additive, it gains resistance against AR and SR i.e. alkali and soap resistance, fats and oil resistance. Shade Matching: Pantone / As per sample possible. 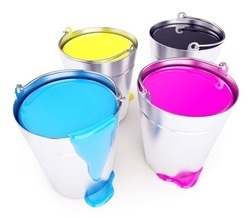 To meet the variegated demands of customers, our company offers Polyester Printing Ink. Our product range is manufactured by using supreme quality material and latest technology. This Polyester Printing Ink is available in varied sizes, colors and dimensions as per the needs of the customers.